Use the word processor's formatting features to create the design. For example: Insert paragraphs, Select the size, font, and alignment of text, Draw borders around paragraphs, Include images (jpg or png), etc. as a "normal" text processing. 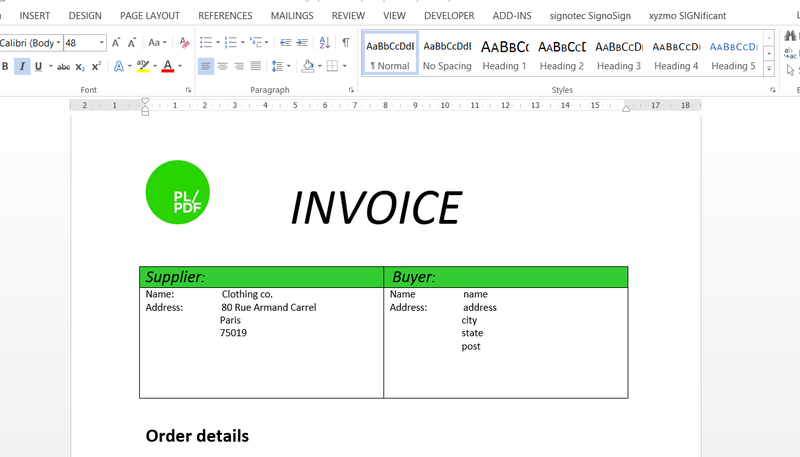 Switching on the Design mode in MS Word and use Content Control items as placeholders for dynamic text and images and PL/SQL codes. The Design mode switched off state does not contain the Control items and layout is 100% equal with original content. When you switched on the Design Mode again then you can easily select and modify existing Controls.